Blog > Announcement > Carol Feller’s KAL – Mossy Way Sweater, all Clues Revealed! Carol Feller’s KAL – Mossy Way Sweater, all Clues Revealed! We have now come to the final clue for the KAL, the sleeves. To work the sleeves you pick up the stitches on either side of the held stitches and work from the top down. The sleeve decreases continue on from the shoulder decreases in the same location. 7 Responses to Carol Feller’s KAL – Mossy Way Sweater, all Clues Revealed! I can’t seem to figure out how to post a comment in the Yarn Collective Ravelry Group. I’m sure I’m missing something really simple! 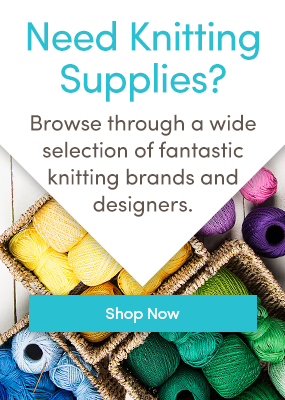 If you go on the Yarn Collective Ravelry group and click on “the Mossy Way KAL: Introductions!” link, you land on a page with comments from participants. On top of that page, under the squares with the number of pages, after the RSS feed logo, you’ll see small prints with links, the last one being “reply to thread”. Click on that link and you’re be taken to a textbox where you write your input. Or, you can click on “reply” button at the bottom of every post, to comment on that post. Hello, I can’t work out how to get to ‘the Mossy Way KAL: Introductions’, as mentioned in the previous post. All I want to know is, can I make this jumper with a narrower neckline (I get cold and don’t want the shoulders exposed)? I know how to do it knitting from the hem upwards, but not sure how to do it coming down from the neck, since this is my first top-down jumper knit. Hi Crystal, you can definitely adjust the neckline so that it covers your shoulders. Just look in the “tips” section for clue 1 when you download the pattern for instructions. Thank you. I figured that out eventually! Now I haven’t been able to figure out how to post a picture in the Ravelry chatter or FO.Ugh!